Whether you’re renovating your home to increase its value, or you just want to simply spruce up your space, it’s already possible to create the necessary aesthetic changes in your home without spending much fortune. By coming up with a feasible home renovation strategy and following these simple tips, you’ll be able to save both your sanity and your wallet. Start With Smaller Projects First. A good way to start your home renovation project is to break down your renovation plan and work on smaller and more manageable areas first. If you’re going to work on your laundry, kitchen and bath, pick one area first then list down the things that you’d want to change. By closely working on each area, you’ll be more likely to finish your renovation project and get better results. Make Some Small Changes. Little changes like updating your cabinet hardware, switching covers, and applying a new coat of paint can already make a huge difference in the look and feel of your home. Replace all the dingy and mismatched doorknobs, and paint your door frames to give your interior a clean and organized appearance. 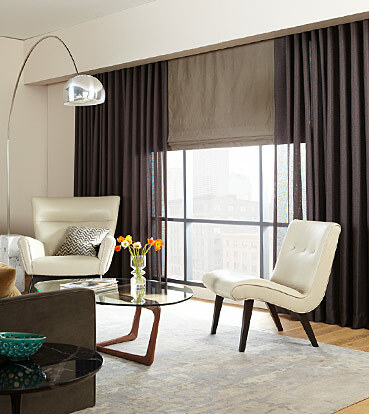 Work on Window Treatments. External and internal window treatments does not only change the privacy level in your home, but the temperature and lighting in it as well. Interior designers suggest installing plantation shutters in windows to give your room a different atmosphere without costing too much. These shutters are set in a variety of materials and colours, making it easier to integrate them in a decorating style. Restore Old Materials. Sometimes, refurbishing old materials is all that’s needed to improve the look of a particular room. Look for affordable options in stores, or in the Internet, to aid you in restoring and giving a new life to the old materials in your home. Since you’re renovating on budget, make sure that you get the best deal on all the materials that you’ll be using. Compare the prices of various stores, and if possible, check online to get bigger discounts. Know Your Limits. Although there are some easy projects, there are also those that are beyond your level of expertise. In a renovation project, it’s important for you to know the things that you can accomplish, as well as the things that are best left to the professionals. Also, don’t hesitate to hire experts to work on the larger renovation jobs in your home. You’ll be spending some bucks for it, but it’ll also give you better results than doing it on your own. Search the Internet. You can do yourself a huge favour just by checking out some DIY apps and videos about home renovation. You’ll not just save yourself from all the stress, you’ll also be able to save some money for doing the job right the first time. Renovating your home doesn’t mean spending a big amount of money. In fact, doing a couple of aesthetic changes is already enough to transform your property into a new and more inviting home that’s sure to impress.